Dinner for two in 10 minutes! I’m excited to be working on my first crochet sweater pattern. However, it is taking a little longer than I thought, having unexpectedly been away last week, but I am determined that it will be ready to blog by next week! If you are wondering what I have been up to, check out my guest blog on my sister-in-law’s site, helenchandler.co.uk. 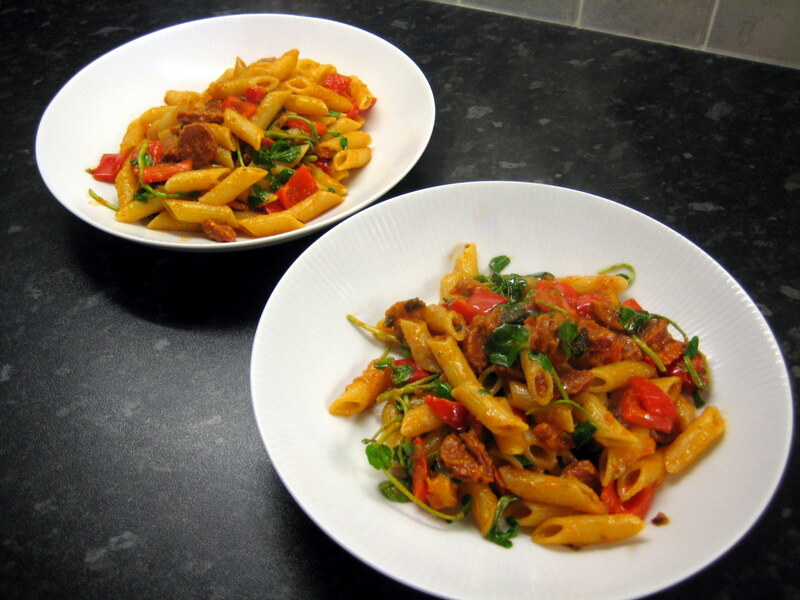 In the meantime, why not try this pasta dish, which is yummy and quick to make? First get your pasta cooking according to the pack instructions. Then heat some olive oil in a pan and fry the chorizo, pepper, and tomato. Add in the chilli and garlic, and cook until the peppers are soft. Now add the pesto and sage, and simmer until the pasta is cooked. Add some olive oil if it looks dry. Season to taste, then stir everything together adding in the watercress at the last minute. Not bad for a 10 minute dinner and good for using up some left over sage! 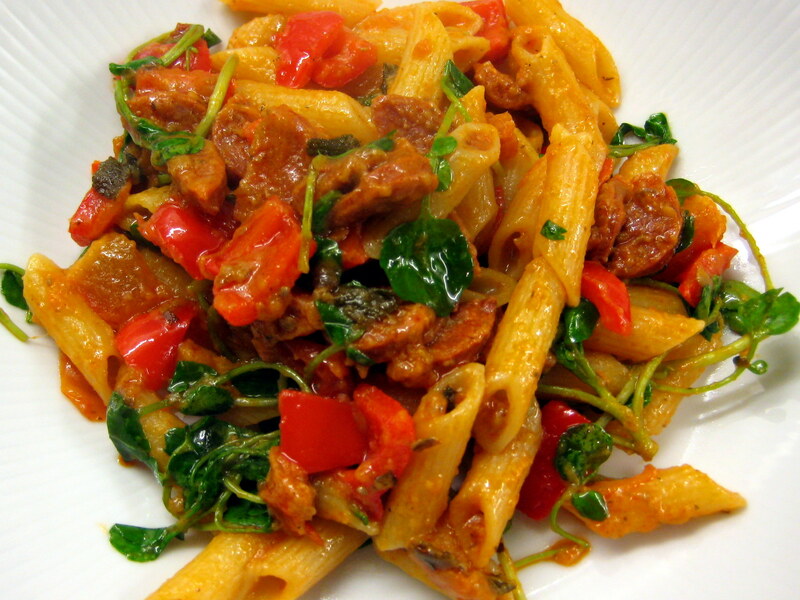 looks yummy – and now I know how to pronounce chorizo! !